The 17-year-old Amelia, opening the New Zealand innings, hit a whopping 31 fours and two sixes in her 145-ball unbeaten knock that took her side to 440 for 3 after electing to bat first in the third ODI. 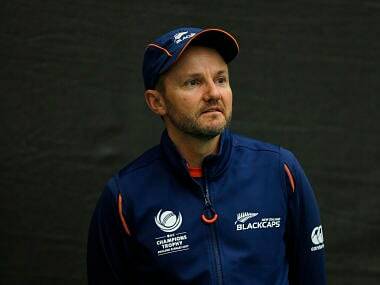 Under Hesson, New Zealand achieved their highest Test, ODI and T20I rankings, rising to third in Tests in July 2015, second in ODIs in May 2016 and No 1 in T20Is in May 2016. When it comes to running between the wickets, the understanding between Mahendra Singh Dhoni and Virat Kohli inspires Australian women's team all-rounder Alex Blackwell.